Almost everyone can tell at least one joke about people who snore. But snoring’s no laughing matter. According to Studies, severe snoring not only interrupts sleep, it can cause serious, long-term health problems, including obstructive sleep apnea. Research says 45 percent of normal adults snore at least occasionally, and 25 percent are habitual snorers. 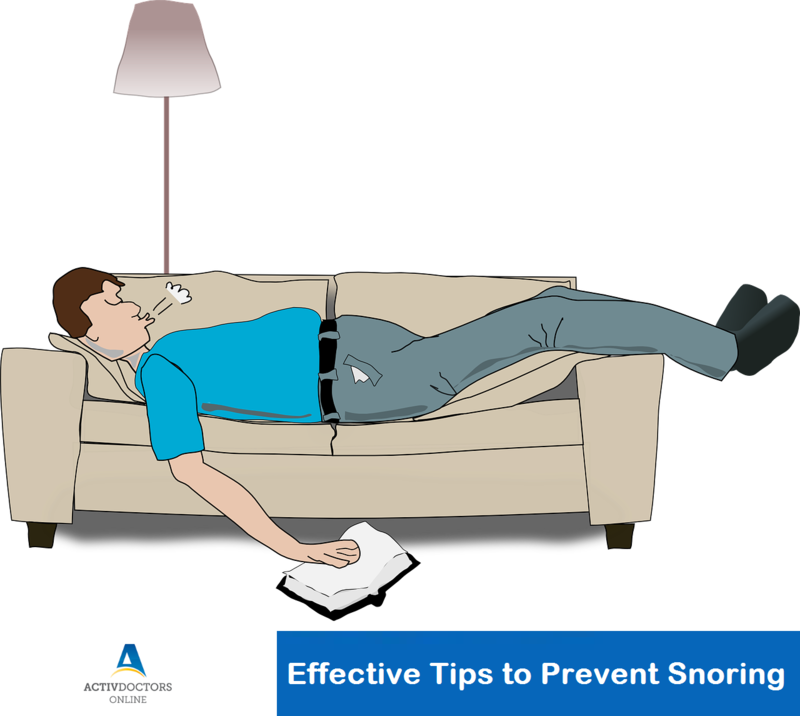 Snoring is more frequent in males and people who are overweight, and it usually grows worse with age. The noisy sounds of snoring occur when there is an obstruction to the free flow of air through the passages at the back of the mouth and nose where the tongue and upper throat meet the soft palate and uvula. These structures striking each other and vibrating during breathing cause the sounds that keeps millions of people awake at night. The American Academy of Otolaryngology attributes snoring to a variety of reasons, including excessive bulkiness of throat tissue (children with large tonsils and adenoids often snore), inflammation and obstructed nasal airways. Snoring is often linked to your diet. Intolerance to certain foods or drinks often affects breathing, especially when lying on your back. For example dairy or alcohol often cause heavy breathing and snoring. Being overweight is one of the leading causes to snoring leading to excess pressure on the airways. Smoking causes mucus buildup which leads to difficulty in breathing and reduced lung capacity. Sleeping on your side often reduces pressure on your airways and help you breathe better when asleep. One of the most effective ways to stop and prevent snoring is to elevate your head by a few extra inches by using an extra pillow – this helps keep your airways clear of mucus and phlegm. Exercise such as aerobics, breathing exercises, etc. not only help you keep fit but also improve your lung capacity and help you breathe better thereby preventing snoring.